Customers are limited to 3 books of stamps per visit. But that’s it. 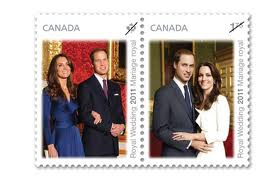 So now is a great time to stock up on stamps. I don’t know if there are expiry dates on stamps but I am still using the ones I bought 4 years ago (when there was a similar promotion). I saved a bundle on that promo, I think the deal was very similar. If you do a lot of posting then this offer is amazing. Presumably this offer comes as a result of the postal strike happening at the moment. Apparently post volume is down 50% because people assume that their post won’t make it to their destination on time, and no it’s no excuse not to pay your bills. Find your nearest Rexall Canada store.